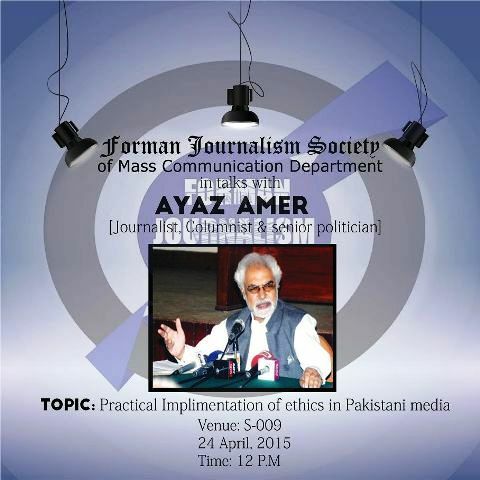 The Forman Journalism Society of the Mass Communication Department is organizing a lecture by famous columnist, media analyst and a well known politician Ayaz Amer. The topic of discussion is ‘Practical Dimensions of Ethics in Pakistani Media’. The program is scheduled for Friday 24 April 2015 in S-009 at 12:00 pm.